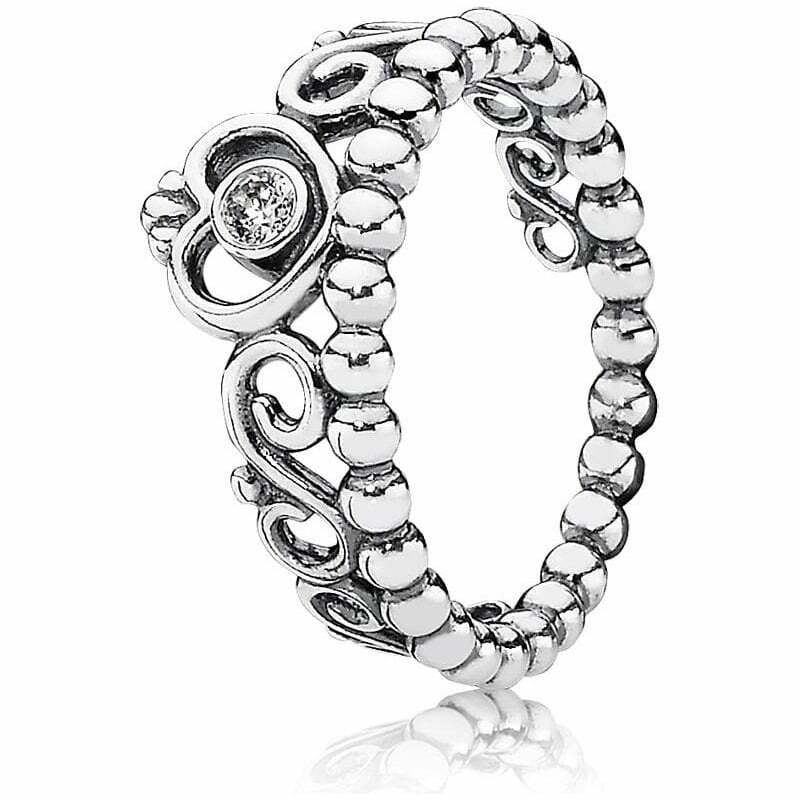 The PANDORA Princess Tiara Ring 190880CZ is a is a sparkling sterling silver beauty featuring a lovely tiara design centred with a stone of twinkling cubic zirconia. A design fit for the finger of any princess. Sterling silver with cubic zirconia. Part of the romance themed range. Looks great is a Christmas present sure my Niece will love it..